So, I had an AMAZING time at the sea with my husband this last week. I’m sure you’ll hear more about it in the next week, but today is my reading post. We did read the book The Mountain Between Us by Charles Martin this week. I’ll post my review/thoughts soon. But, I realized as I was driving through some pretty awesome scenery this weekend that different things remind me of different favorite books. I started thinking of all of my favorites and wondered how I can have so many. Well, it’s because they are all different! So, I wanted to give you a quick rundown on what to read for what mood you’re in this summer. I’m guessing that most of these won’t really be a surprise to you if you have been following my blog since last summer! If you have any other suggestions, feel free to leave them down below!! Read all the way to the end to hear my challenge for you! 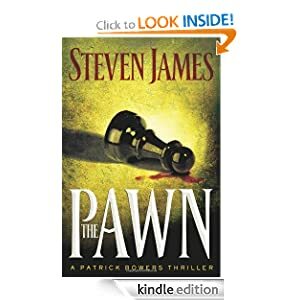 If you want an intense thrilling suspense novel, then you need to pick up one of Steven James 5 books in the Patrick Bowers series, starting with The Pawn. AMAZING BOOKS! These are fast moving adrenaline building books that keep you guessing all the way until the end. My guess is you could go through all five in one month! Heart-rending. Intense. Emotional. Incredible. Real. Notice I did not say heart-warming. 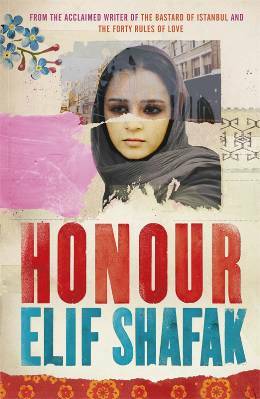 This is one of those books that is going to consume a little corner of your heart. 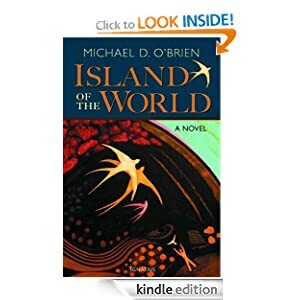 My words after I closed the last page – “I feel like I have lived a whole life and can die.” Island of the World by Michael O’Brien is an incredible book. It may take you a good portion of the summer – it is long and intense and sad. But, this is the story of a life, nothing left out. You really don’t want to not read this book!! Surprise!! 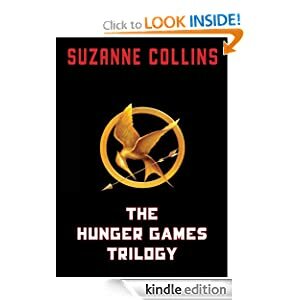 The Hunger Games – the whole trilogy. Don’t you dare read just the first one!! If I haven’t raved about these books enough yet, then read on. These books are so fast-paced. Collins knows what she is doing when she spins a story. You don’t ever want to put them down. I know that there has been a lot of criticism about these books, but I feel that a lot of it is slightly skewed. If you want my personal opinion, read this post, or shoot me an email. This would be a great summer reading book for your family! Heart-warming. Make you believe in love . . . I actually have not written about these books because I read them long before I started my blog. But here are two books by the same author (the same author that wrote the book we read this weekend!) 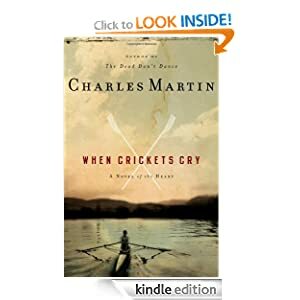 Charles Martin has a unique style and a great knack for building intense characters. My husband and I have read several of his books together and loved them. My top two suggestions would be When Crickets Cry or Maggie. These stories will definitely tug at your heart! Need I say? Any Narnia book!! But, you better go in order! What? You’re an adult? Who cares? Read my post on Narnia here. Then, go and check out a book! 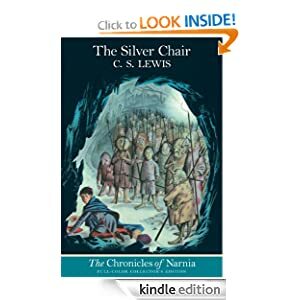 Start with The Lion, the Witch, and the Wardrobe, but I will say that The Silver Chair is my favorite. A couple other classics that I highly recommend are Phantom of the Opera, Dracula, and The Scarlet Letter. Let me know if you want more of my thoughts on any of these books, but these are some that I have read and LOVED. If you have an e-reader, you can download all of them for free! Anything by Mark Twain, except Tom Sawyer and Huck Finn! I highly recommend The Innocents Abroad (and what’s great about that is it’s free!) He has such a dry, sarcastic wit, and it translates beautifully to his work! 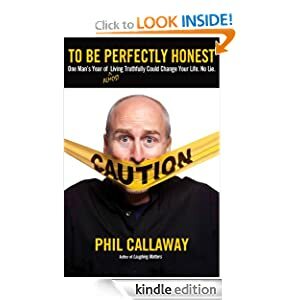 Another good laugh out loud book is To Be Perfectly Honest by Phil Callaway. Mind you, this isn’t going to be your heavy summer reading book, but it was definitely funny. It felt like reading a stand-up comedy act. I know that I have talked about Notes from the Tilt-A-Whirl a couple of times, but this book really will make you think and decide what you think about some tough issues in life. Don’t read this blindly, you have to challenge yourself and the author on multiple points. Another good book for this category is actually a novel by Randy Alcorn. In my opinion, though, it is still definitely a challenge to growth, if you read it right! 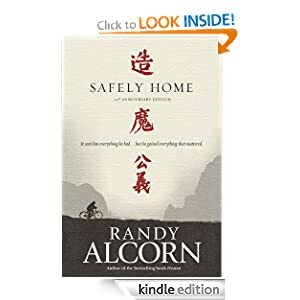 Safely Home is an intense story of Christians in China. It will challenge you to think twice about how you live out your faith. I hope that this will help get you started planning your summer reading list! Let me know what you choose or any other suggestions you have! I am challenging you here to read at least 10 books this summer. If you will take me up on the challenge, then leave a comment below. If I get enough takers, perhaps I’ll host a giveaway or some other incentive to get everybody reading!! Here’s one catch – I want you to choose one book that is something you wouldn’t normally pick up. Do you always read fiction? Pick up a biography. Never read fiction? Find a romance novel. Summer is the perfect time to explore reading and find new things. Let me know what your number 1 book is below! And, if you readers can get at least 10 people to commit to this challenge, then I will host a giveaway at the end of the summer.